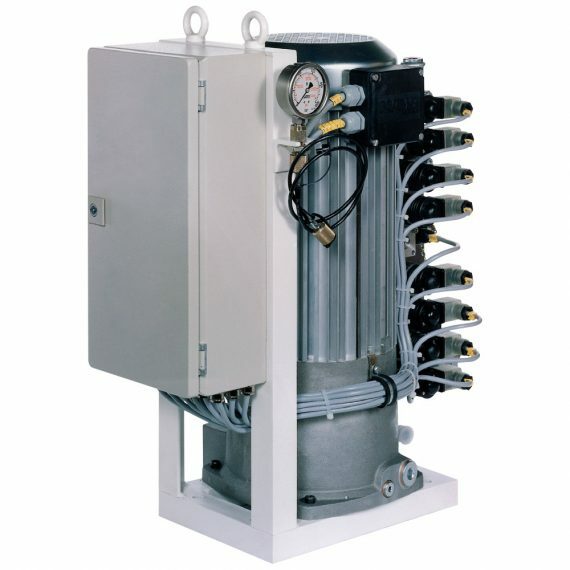 These power units are supplied as compact units ready for connection: Complete with motor, pump, reservoir, connector block, pressure gauge, pressure switch, solenoid valves and, on request, electrical control systems, all packaged for upright positioning. Pump with three radial pistons, direction of rotation optional. These power units operate in energy-saving intermittent mode with automatic pressure monitoring, i.e. when the pressure set at the pressure switch is reached, the motor switches off automatically. If pressure drops 10% below the set value the pressure switch causes the motor to start again. 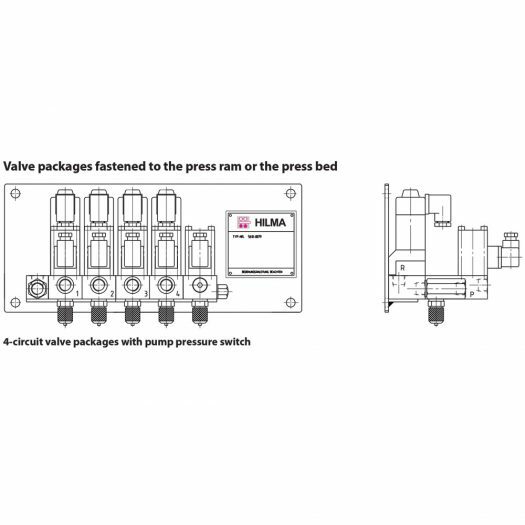 Additional pressure switches can be supplied to protect the machine. These switches are set so as to stop the machine if clamping pressure drops by more than 15%.